Embattled US smartphone manufacturer Palm is the subject of speculation following a Bloomberg report that the firm has put itself up for sale. Citing three anonymous executives close to the situation, Bloomberg said that Palm has enlisted Glodman Sachs and Qatalyst Partners to find a suitor, with Taiwan’s HTC and China’s Lenovo both mentioned as potential buyers. 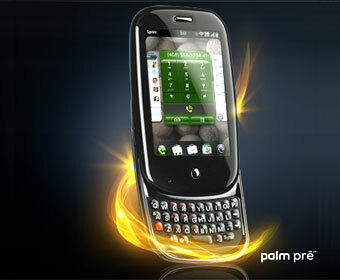 Despite the recent push that saw Palm launch handsets such as the Pre (in June 2009) and the Pixi (in November) on its WebOS operating system, the vendor remains in serious difficulty. Its most recent financial results, for Q3 of the 2010 fiscal year, were preceded by a guidance update in which Palm said its full year 2010 profits would be “well below” original forecasts. “Our recent underperformance has been very disappointing, but the potential for Palm remains strong,” said Jon Rubinstein, Palm chairman and chief executive officer when the company reported its Q3 figures on March 18th. “The work we’re doing to improve sales is having an impact, we’re making great progress on future products, and we’re looking forward to upcoming launches with new carrier partners. Most importantly, we have built a unique and highly differentiated platform in webOS, which will provide us with a considerable — and growing — advantage as we move forward,” he said. Shortly after the results announcement, Palm unveiled a distribution deal for its WebOS handsets with AT&T in the US, having made a similar announcement with Verizon in January. The Pre was originally launched exclusively with Sprint, a move that did not pay off, US analysts have suggested, because of Sprint’s own difficulties in competing with AT&T and Verizon. Outside of the US, the highest profile carrier to take WebOS products to its heart has been Telefónica O2, which offers the Pre in Germany, Spain, Ireland and the UK. In a meeting with Telecoms.com earlier this year, Telefónica Europe CEO Matthew Key said that the firm had yet to reveal any sales numbers for the Palm Pre but that he was very happy with volumes the firm was shifting. But other carrier relationships have not materialised. While French operator SFR is understood to be launching the Pre and Pixi before the summer, Palm’s products are not available from any other European operators and are entirely absent from the portfolios of Asian carriers. Indeed analysts argue that it is Palm’s mismanagement of its operator relationships that has let it down, and that its handset and operating system products are actually its key strengths. If this is the case it would be an encouragement to any prospective purchasers.